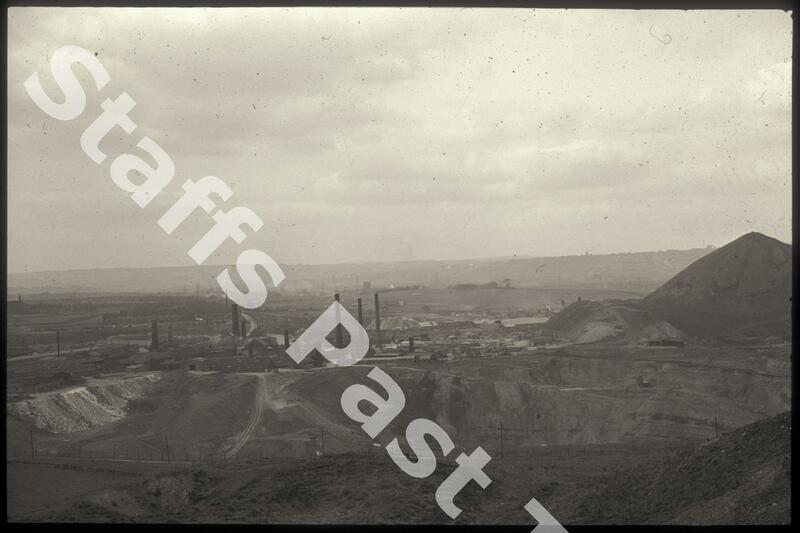 Description:The fireclay pit or marl hole was part of Berry Hill brickworks (also known as Slater's fireclay pit) and linked to the nearby Berry Hill collieries. John Slater purchased the colliery in 1914 and the brickworks came as part of the deal. Fireclay is used to make refractory products that will retain their strength at high temperatures and occurs naturally in the Coal Measures in North Staffordshire. The brickworks also produced engineering and facing bricks, with production continuing into the 1970s. 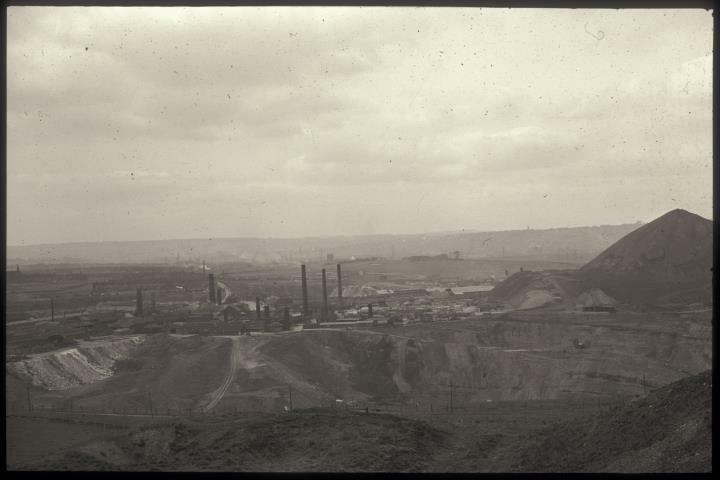 Reclamation of the area involved moving over 1.5 million tonnes of spoil from the tips into the marl pits. The land is a mixture of industrial estate and 70 hectares of open green space. The camera is looking towards Fenton.